I had the great luck to go to Cyprus for a few weeks to explore this beautiful and breathtaking island. It was totally my pleasure and I am so glad to finally be able to share my favorite impressions from this trip. So, I have gotten so many question about where is the best place to go and what´s really worth it if you only have a certain amount of time. So I will tell you about my favorite parts of this stunning island. A must see for me and my favorite on this island is Aphrodite Rock and the surroundings as seen in the pictures and the area around Paphos. The water is so clear as you can see and there are so many view points and photo spots and I just did not want to leave this place. You can either stay in Paphos or in Limassol and then rent a car to go to this place for a day. Down in Paphos town there´s a little harbor with loads of cute restaurants that serve amazing food. My favorite was the Pelican restaurant who also has two super cute pelicans that comes to the restaurant for food every day and then they stay around the area just relaxing. How cute? 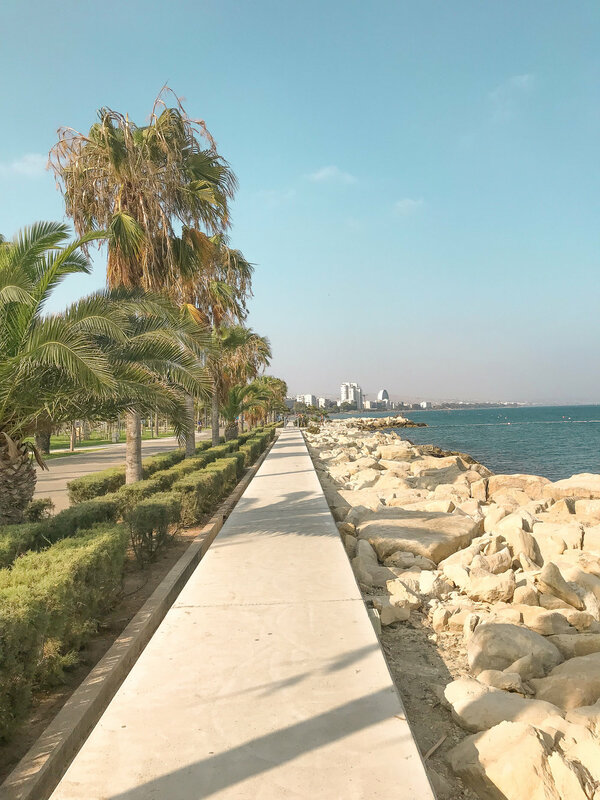 Limassol is the biggest city on Cyprus and have a larger and more busy selection. Here you will find more trendy stores and shopping, pool bars and lounges and a promenade along the city parallel with the water. But the sea here is not even near as clear as around Aphrodite bay area. Food options are many and its quite spread out along the whole city. My favorite here is probably the old town area with all the cute little cafés and restaurants and the old looking houses and streets. 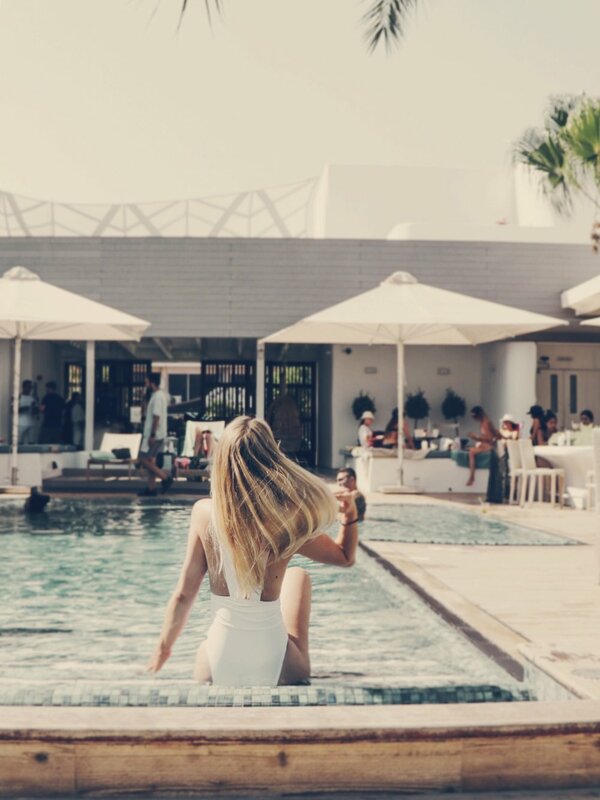 They serve everything from burgers to poké bowls, nice salads, fresh juices, cocktails and drinks by the pool or the cabana lounges close to the beach. Nice music during the day and lovely restaurant during the evening. My favorite café in Limassol. Mostly vegan and plant based, gluten -free and a total healthy concept at this place. You´ll find, salads, wraps, soups, amazing sweets, fresh super food smoothies and juices. If you care about your food and health like me this is THE place. And the owners are the nicest couple and very friendly too. Cute café/restaurant with a personal touch. Food here is really amazing and they put there own little touch on everything. And the great thing is that there is something for every taste such as sushi, salads, pastas, burgers, fish, meat and a wide selection of desserts. Lovely restaurant next to Colombia by the beach overlooking the beach and sea. Nice fresh fish dishes on the menu but also other options. Great for both lunch and dinner. Plenty of restaurants to chose from and super cozy atmosphere in the evening. Amazing fresh fish and seafood. Super cute blue and white interior overlooking the harbor and boat area. Great service and very friendly as well. 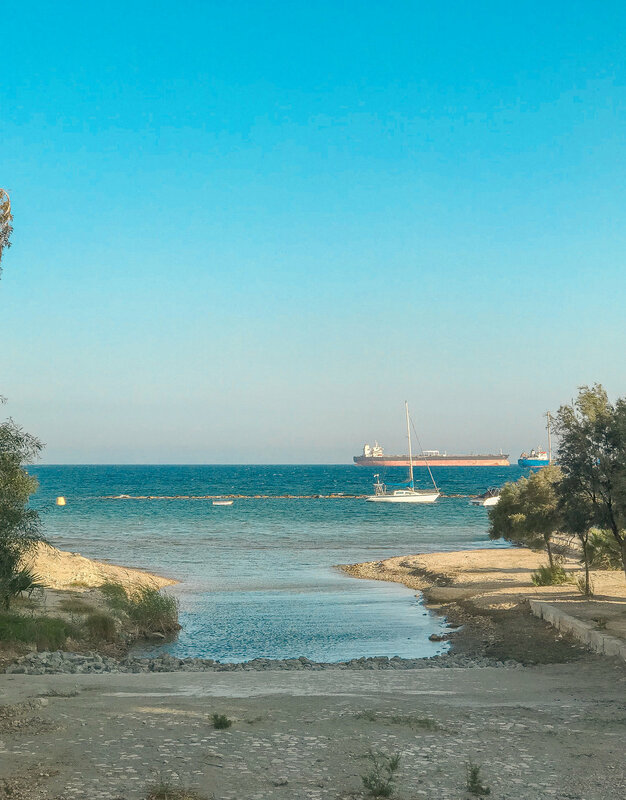 I could really suggest to stay in Limassol for a few days and do a day trip to Aphrodite Rock and Bay. Or stay a few nights in Paphos as well. You will find more photos and can read more about Konnos beach HERE and Larnaca HERE.